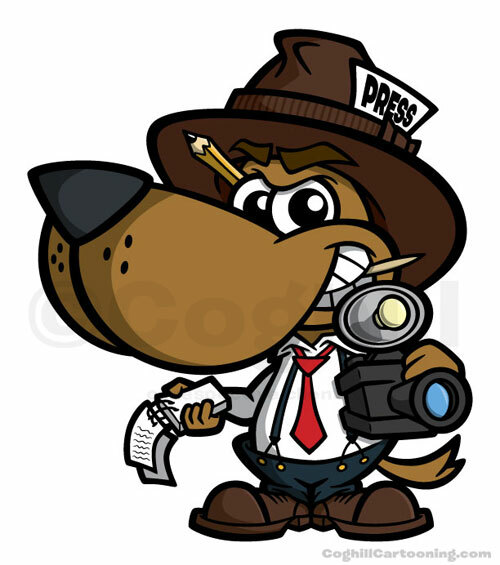 This cartoon dog news reporter — “News Hound” — was created for an upcoming iPhone news app. The client was pretty specific in what they were looking for: a 1940’s era news reporter, but of course a dog instead of a human. Cartoon Woman with Big Mouth, originally uploaded by Coghill Cartooning. Unused rough sketch for a client project, a telephone service iPhone app icon design. 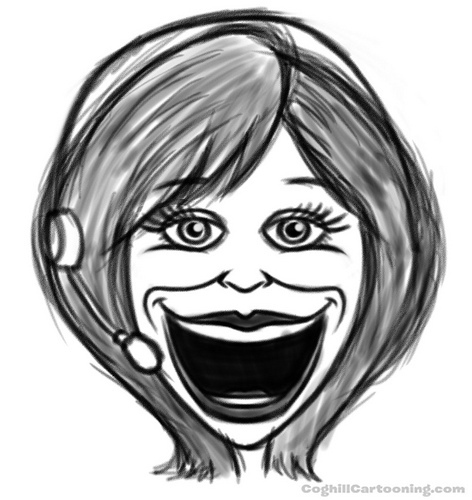 Concept was a cartoon character woman with a telephone headset and a big mouth.